Kat & Kevin are Savannah cool kids – you’ll find them perusing the local record stores & rocking out at shows and when you run into them, they’ll be the first to wrap you in a hug and make sure you have a beer in your hand. Not only are these two in the musical know, but Kat is also a badass little fashionista and designer. As an advocate of supporting local, you’ll always find her in the latest local fashions. 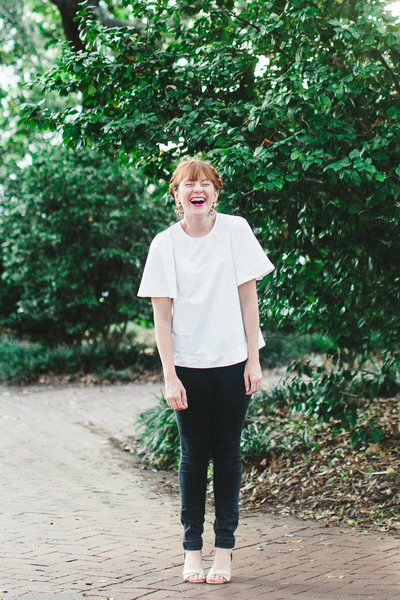 She also works at Satchel, a local leather goods boutique in Savannah where she helps create beautiful, bespoke leather handbags & other goods. I always love being able to photograph their work. Their bags are hand constructed using quality materials, with classic designs and fun colors. No one had a doubt in their mind that Kat & Kevin’s wedding would be edgy, whimsical, fashion-forward & basically the best damn dance party you’ve ever been to. In fact, even their engagement session was all things awesome. 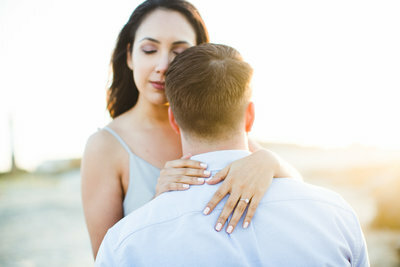 Incorporating their favorite activities together, we focused on more of a lifestyle engagement session. Of course, their engagement session included a stop at their favorite record shop, Graveface Records. 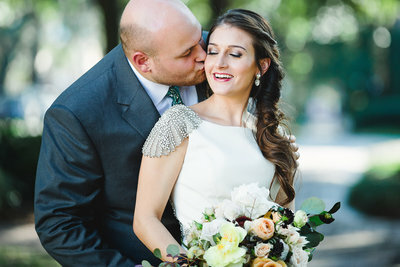 At first, they planned for the wedding venue to be an artist’s renovated downtown mansion, full of antiquities and oddities. When that fell through, they turned to a family member that had a beautiful waterfront property. Kat worried about having the typical low country wedding which was totally not them. However, with the help of an amazing prop rental company and one of the most talented stylists in town, they were able to create a whimsical and weird backyard affair. Kat & Kevin, aka, Mr. Snakes, had a custom cat & snake motif created which appeared on their wedding invitations, leather koozies (from Satchel!) and the groomsmen’s flasks. Meanwhile, signature bourbon cocktails were served to guests. Around the property were coolers filled with a huge selection of local craft beers. Two local DJs who often spin at The Jinx, their favorite spot for shows, provided music all night. Not to mention, they played actual vinyl from the 70s, 80s, 90s and today’s best indie hits. This wedding was hands down one of the most fun I have had the chance to photograph! Thank you so much, Kat and Kevin, for letting me be a part of your day!